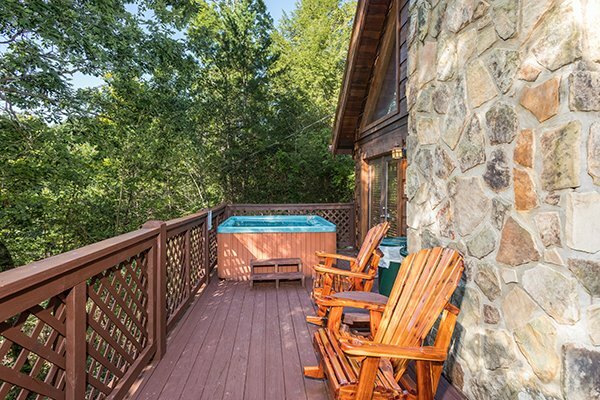 Getaway this season to a CABIN IN THE WOODS! 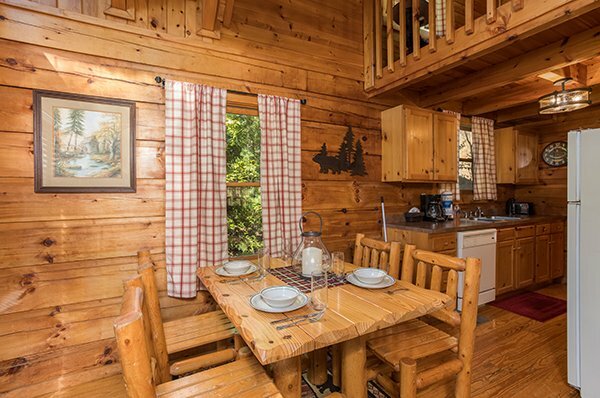 This charming one bedroom one bath cabin has room for 4 guests with a comfortable Queen log bed, and a Queen sleeper sofa for extra guests. 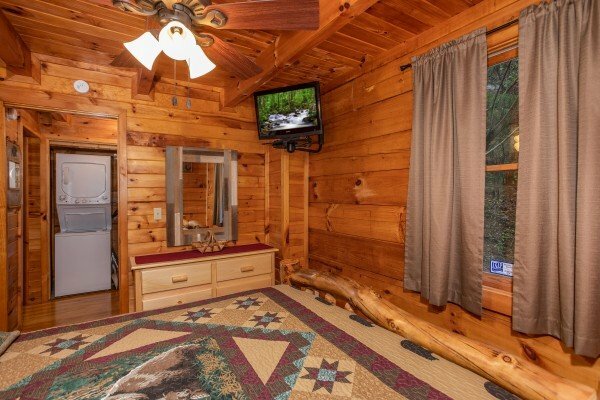 Located in scenic Walden's Creek just outside Pigeon Forge, this cabin is just a short drive back to all the fun, attractions, shopping, and dining in town! 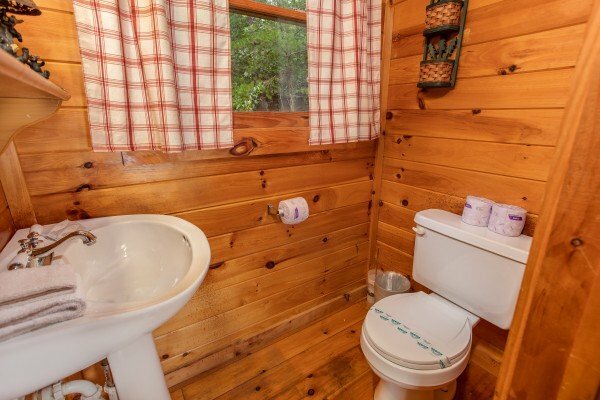 You won't need to pack a thing for this "camping trip" either. Everything you need is supplied in a fully equipped kitchen. Grill out and stay in, or dress up and dine out! With easy access roads, you can plan for anything. 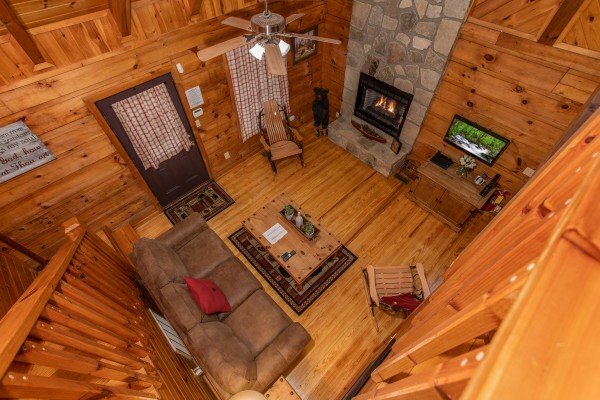 Inside, snuggle up to the real stone fireplace and watch your favorite show on the LED tv. 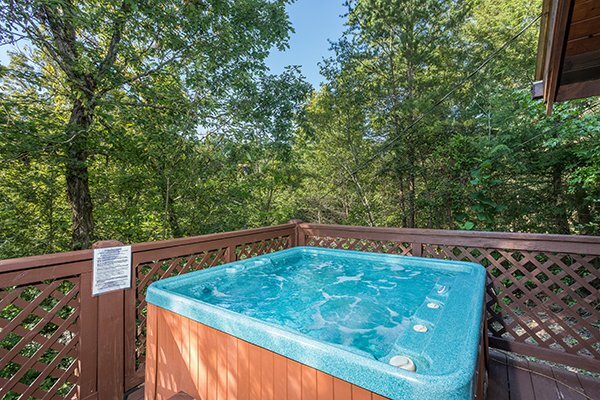 Head upstairs to the lofted game room for a game of billiards, or grab a book and head out to relax in the steamy hot tub with private wooded view. 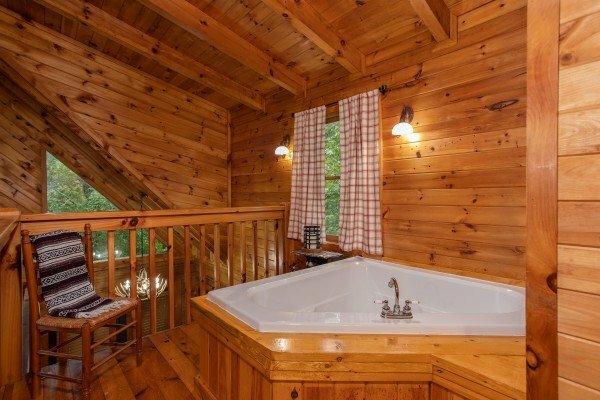 Upstairs a dip in the romantic heart-shaped Jacuzzi tub offers the perfect end to the evening. 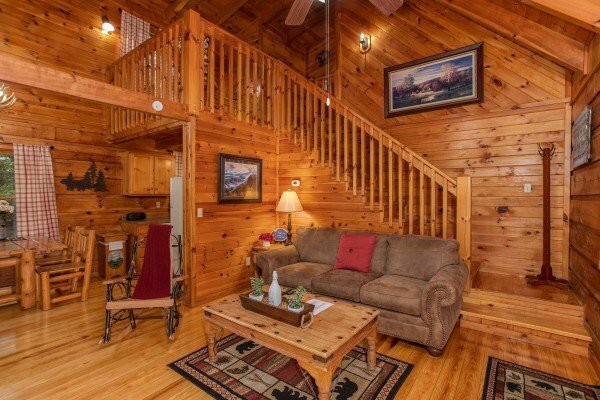 Escape this year to CABIN IN THE WOODS! Call now. 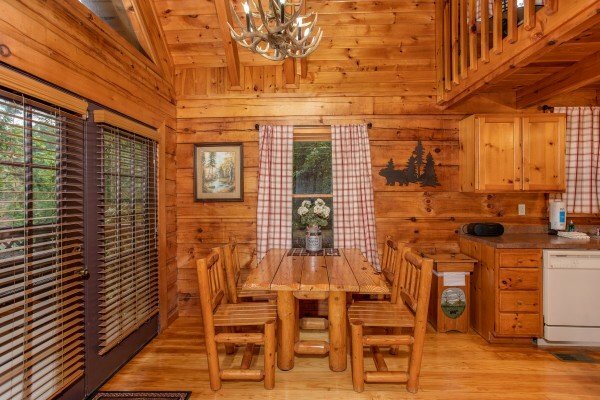 The cabin was very nice and also private but yet close to everything. We really enjoyed our time there. 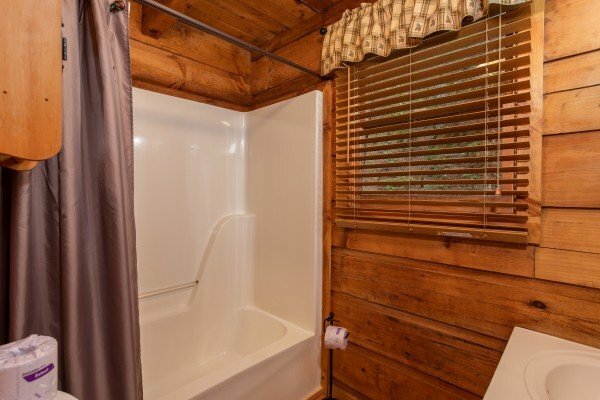 We had a wonderful time during our stay at Cabin In the Woods. This is our second year using Patriot Getaways! We had a great time again making memories! 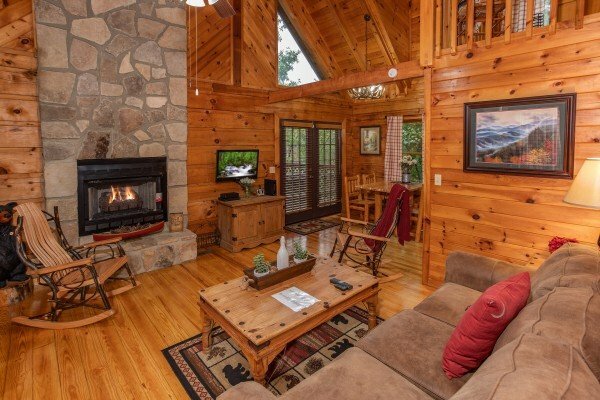 Love this cozy cabin. See you next year! 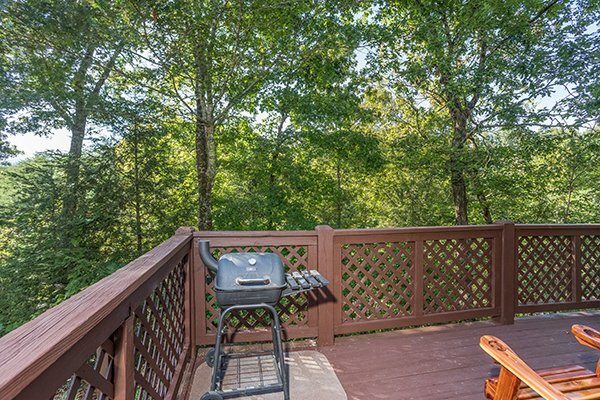 We were able to relax and enjoy everything the Great Smokey Mountains had to offer. 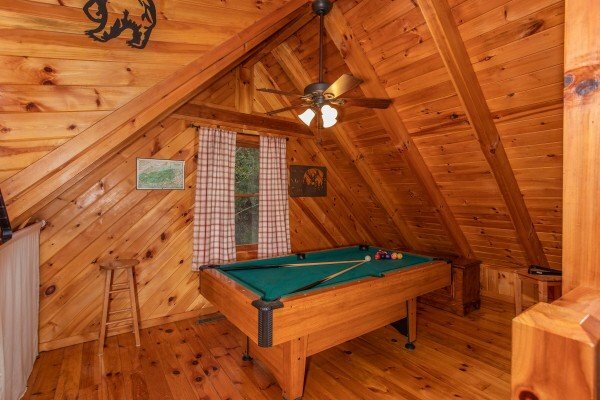 The cabin was located in a perfect spot. Close enough and far enough away from the business of it all. The cabin was very cozy and just the right size for the two of us.Thank you for allowing us to share in the wonderful and relaxing Christmas here in the mountains. 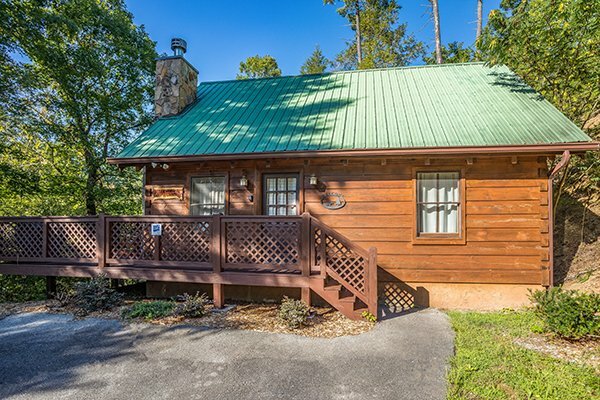 We came here for the Thanksgiving holidays and this little cabin is great! I was worried it would be way too cramped with our family of 5, but we put an air mattress upstairs and it was perfect! 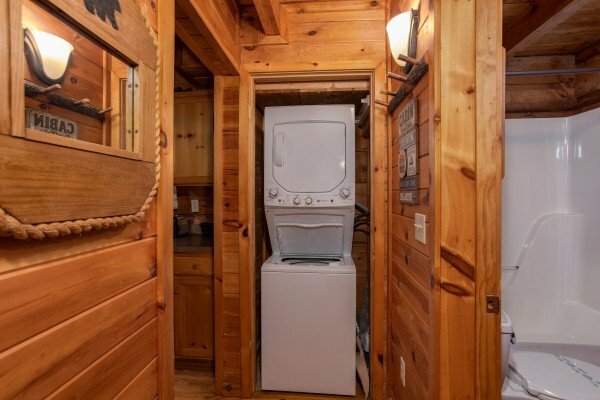 This cabin is well stocked and super cute. Thank you forletting us stay in your precious cabin. We are so blessed to be able to come and enjoy a wonderful vacation in a beautiful place. God is so good and we are thankful for this amazing family trip! 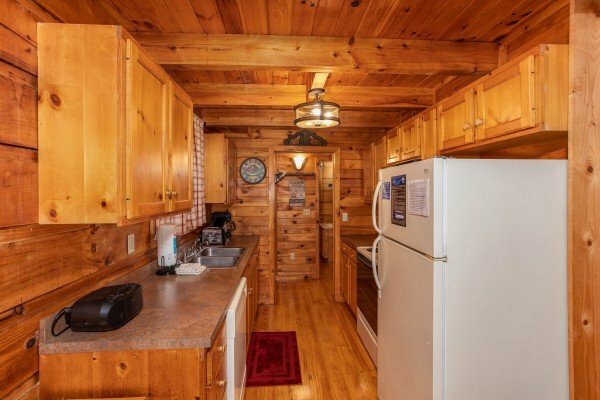 Was very happy with Cabin and would gladly rent again. Minor improvements would include1) Hot water heater set to cycle at 1AM (which happened twice). 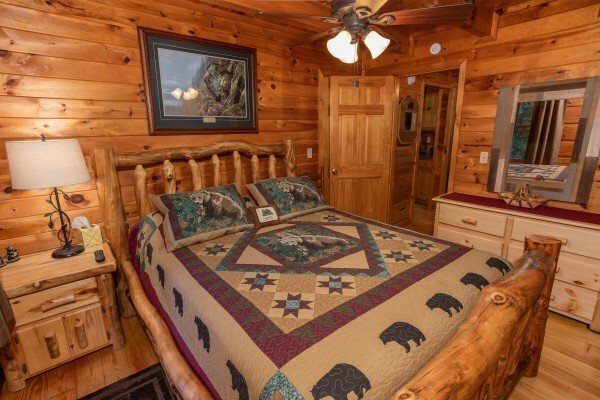 Since its next to the bedroom would be better set for day hrs.2) Directions for hot tub would be nice(last night there it was in the low 90s and could not adjust temp up)3) Include a Blue Ray player in the family room and move the DVD player to the bedroom TV (which did not have a remote? )None of these are show stoppers and was very happy overall with everything!!! !